The Comptroller's office is the financial arm of the Supervisor's office, the Supervisor being appointed the chief fiscal officer. The Comptroller's office oversees all financial activities in order for the Town Supervisor to carry out the appointed duties as chief fiscal officer. 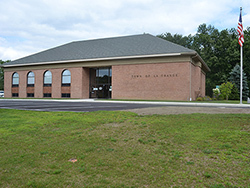 The Town Board of the Town of LaGrange established the Office of the Town Comptroller in accordance with Town Law. 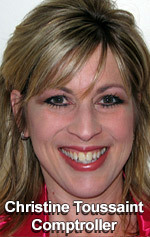 The Comptroller began her duties at the beginning of 2006. She has over 30 years of employment with the Town, previously working as the Bookkeeper. The Comptroller's office is the financial arm of the Supervisor's office, the Supervisor is the Chief Fiscal Officer. The Comptroller's office oversees all financial activities in order for the Town Supervisor to carry out the appointed duties as Chief Fiscal Officer. Keep separate appropriation accounts as described by Town Law and preventing the over expenditure of such accounts. Draw upon funds authorized by the Town Board. Assist the Supervisor in preparing the Town’s annual Operating Budget. Furnish to the Supervisor information and data necessary to enable the exercise of powers, performance of duties and generation of reports required by law as the chief fiscal officer. Other responsibilities include all financial data collected and recorded properly as mandated by New York State Audit and Control and following all current accounting and auditing principles and standards. The responsibility of the Comptroller is to implement and administer the financial policies of the Town as set forth by the Town Board. Processing of Town-wide Payroll; payment of employee benefits and payroll taxes. Accounts Payable, Purchasing, Cash Management and Financial Reporting. Coordination of the Town’s Annual Financial Audit. Responsibility for departmental budgetary compliance. Assist the Town Board in the periodic update to the Town’s Procurement Policy. Update Town’s Investment Policy Annually. Ensure the Town maintains its excellent Bond rating. Update Mileage Reimbursement rate as established by the IRS. Review & Update Town’s Reimbursement Policy. Performing Internal Audits of various Town Departments. Oversight of all Municipal Bonds and their associated financial work. 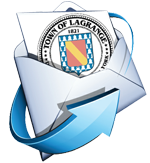 Oversight of Letters of Credit and bonds posted by developers working within the Town of LaGrange. Financial oversight for each of the Town’s water and sewer districts.